How do I use Team Feedback? 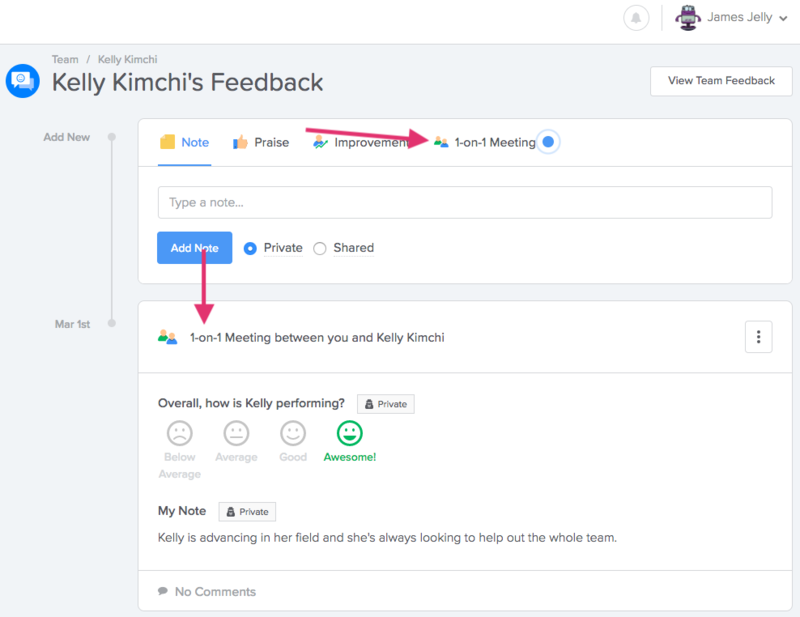 Team Feedback is a feature designed to give employees a place to store notes about their work, and managers a place to keep track of team progress. 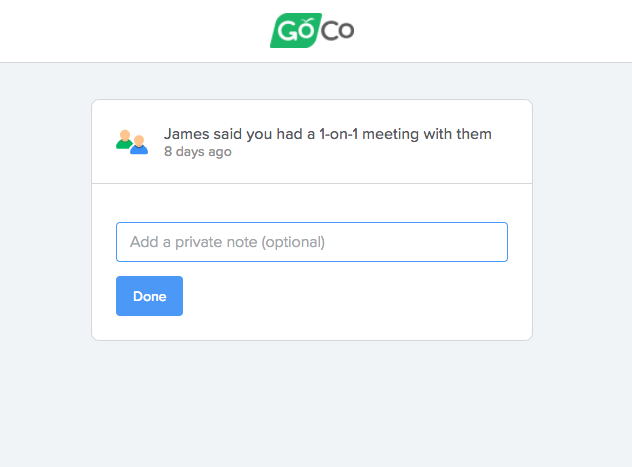 Your user access in GoCo determines the view you will see. As an employee, you can choose to add notes, achievements, or challenges. There's also a 1-on-1 Meeting option which is interactive with your manager. 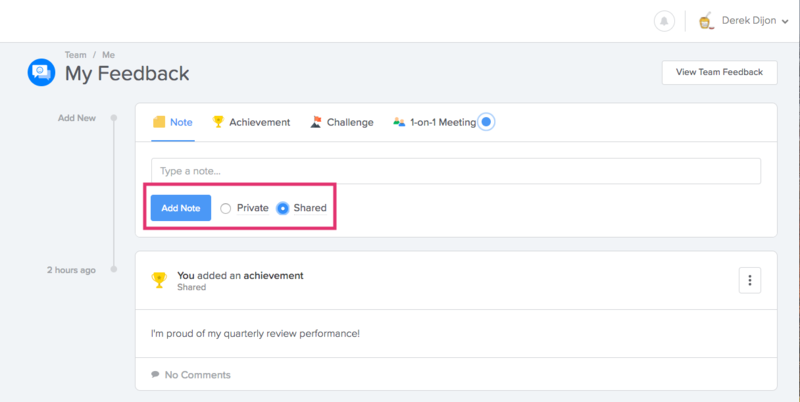 Each option can be marked as "private", and will only be able to be viewed by you, the employee, or they can be marked as "shared" and the post will be visible to your manager and any admins of the system. The note above becomes part of the employee's timeline once posted, and will be kept until the employee deletes it. If the post is labeled as "shared", anyone with permission will be able to add comments to it. An employee can also take a private note of any 1-on-1 Meetings with their managers, including the date and specifications of how the meeting went, or if there are any items that need to be tracked until the next 1-on-1. 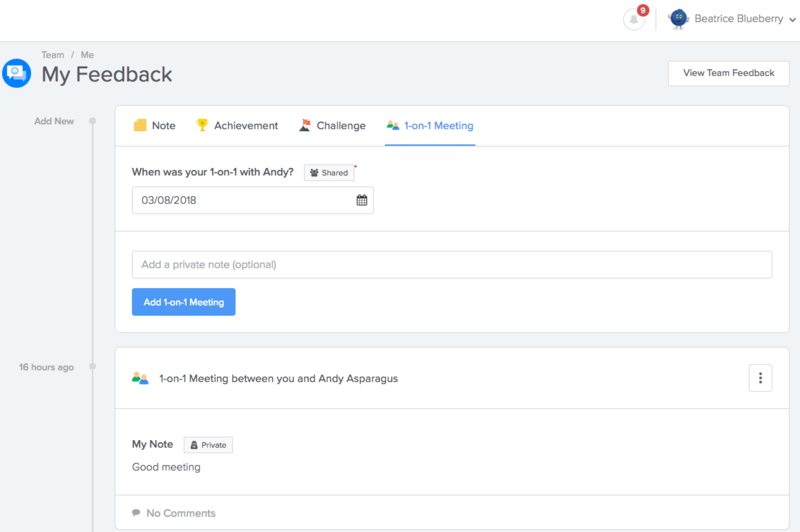 A manager has a screen that includes information on the date of their last 1-on-1 Meeting with an employee, as well as a quick view of that employee's recent performance. The manager can then choose to leave a note, praise, or suggestion of improvement for a specific employee. The viewing options are also similar, in that a manager can have it as a "private" note for their own viewing, or make it viewable to the report and admins by marking it as "shared". When a manager would like to make note of a 1-on-1 Meeting, there are more options than as the employee view. In addition to including the note, the manager can also select from a graded selection of options for an employee's performance. 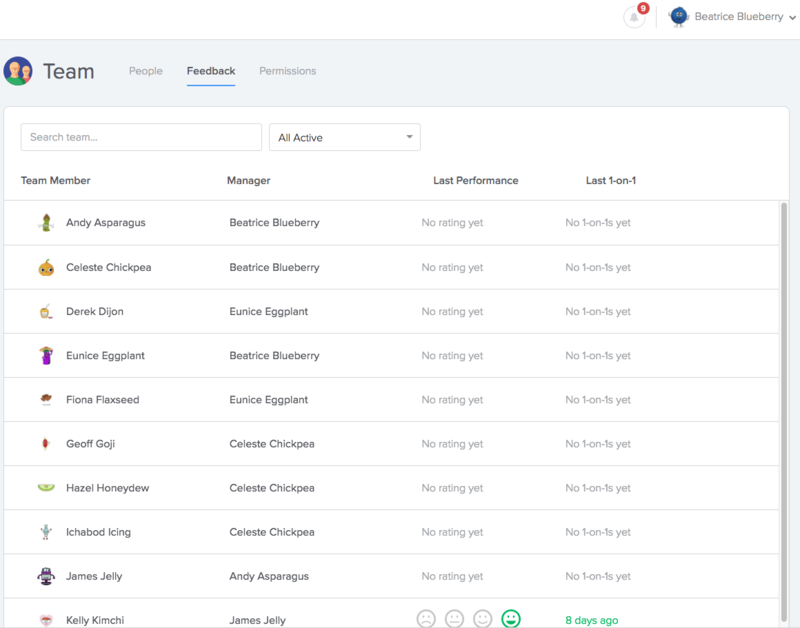 This will give the managers a quick view, as seen above on their direct report menu, of how each employee is doing. 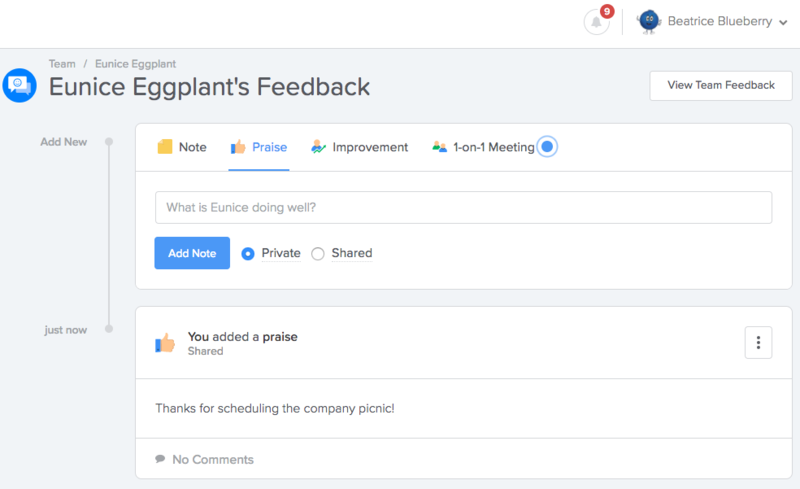 The admin view of the feedback page is very similar to that of a manager, different only in that they are able to view shared notes and manager feedback of every employee in the system.